The work, published today in Proceedings of the National Academy of Sciences (PNAS), reveals that the lethal component of stonefish venom, a protein called Stonustoxin, is an ancient relative of the human immune protein perforin. "The lethal factor in stonefish venom is like a loaded gun - ready to fire as soon as it is injected into the foot of an unsuspecting victim," co-lead author Dr Sheena McGowan said. 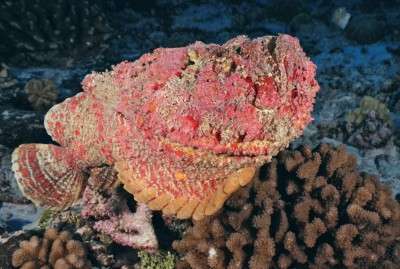 "People who step on a stonefish suffer agonising pain because the lethal stonustoxin protein attacks nerves. The treatment for envenomation includes an anti-venom together with soaking the wound in non-scalding hot water – the latter treatment unravels the venom and stops it punching holes," he said.